Medical professionals Dr. Jennifer Ashton and Dr. Tiffanie Davis Henry will round out the cast of co-hosts on ABC’s new daytime talker “The Revolution,” the network announced Monday. And, The Washington Post’s own personal finance columnist, Michelle Singletary is joining the show as a weekly financial contributor. They’re joining the already announced fashion guru Tim Gunn, home re-do pixie Ty Pennington, and “celebrity trainer” Harley Pasternak on the new talker, scheduled to premiere in January. Throw your mind back to April, when ABC announced it was ta ta for two soaps — “All My Children” and “One Life to Live” — to make way for two new talk shows. “The Revolution” would be about taking one woman a week and showing a time lapse of the five months the show invested in stripping her of the weight she’d put on because food is the center of her life, culminating in a Friday reveal. Here’s where the newly announced co-hosts come in. And Singletary will get you financially fit. 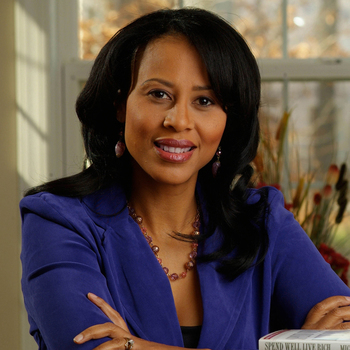 For information on how to bring Michelle Singletary to speak about finances and the economy, submit the Check Availability form at PremiereSpeakers.com/Michelle_Singletary. Don't let rental car snafus wreck your vacation.